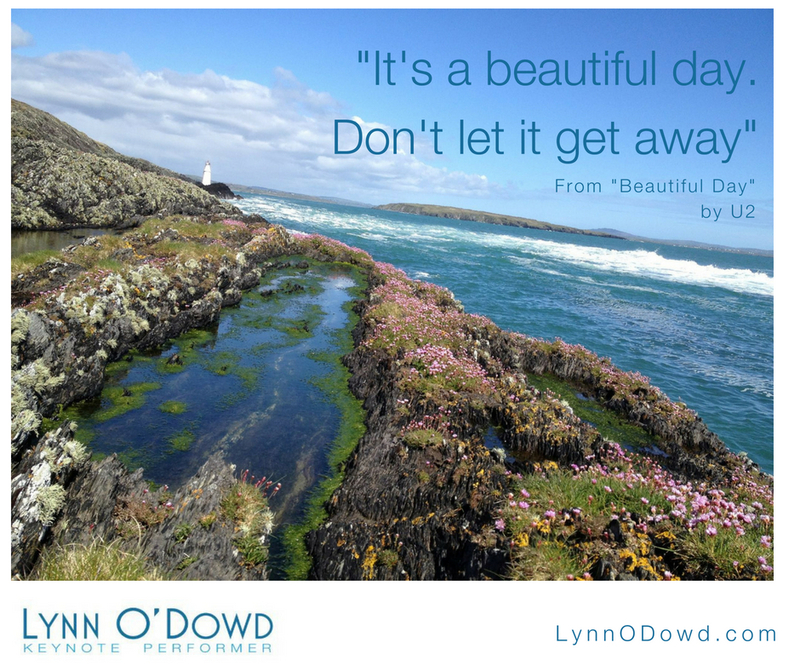 What is your definition of a beautiful day? 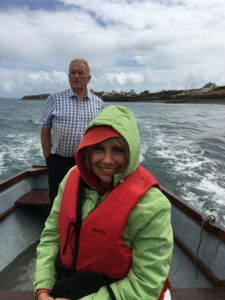 What I learned is that many of the Irish folk I met defined a beautiful day not by the weather, but by the company they keep, the stories and family history they keep alive in their hearts, and the passion they have for the land and sea. U2’s “Beautiful Day” is the only Irish song to make Rolling Stone’s top 100 songs of the century. Perhaps it’s because people can relate to the song’s story of finding the joy, beauty and good in life in the face of hardship and difficult circumstances. That was not my first thought, but Joe had a totally different perspective. He didn’t accept money for the ride, only a “tip” for a pint he’d enjoy later! When the sun is not shining on the outside, I invite you to look inside yourself for that ray of warmth and happiness. Oftentimes it is the way we view our experiences that causes the angst within us. As I mention in my keynote, having a negative attitude makes it difficult to live a positive life. Are you booking speakers for your group or meeting? After not singing a note for 35 years – in a moment of madness – I answered an ad to be a singer in a Rock’n’Roll band… and got the gig. 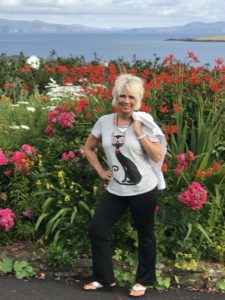 I share my story about how stepping out of my comfort zone and getting a little outrageous has changed my life. I want everyone I reach to experience the same transformation thru the “GoGaGaTM” process I’ve developed to help attendees Unleash THEIR “Inner Superstar” and realize that it’s never too late to bust through their fears to perform at levels they never thought possible. My talk takes people from “I can’t” to “I can” in 45 to 60 minutes – with my special brand of entertainment with a message. Click here to download my speaker one-sheet, and book me for your next event.